HTC is rumoured to be readying two different handsets, the HTC One M9 and the One M9 Plus, for a release in a couple of weeks at MWC 2015, but it looks like that’s not all to come from the company soon. 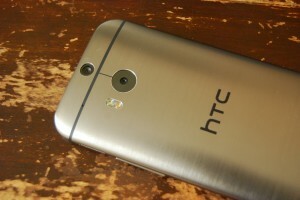 A new rumour has suggested the company is almost ready to unveil the One M8i, a mid-range version of last year’s flagship HTC One M8. According to a new leak from upleaks, the One M8i will be the same in appearance and weight boasting the same 5-inch 1080p display but there will be some key differences under the hood. There’s said to be a quad-core Qualcomm Snapdragon 615 processor alongside 2GB of RAM, 16GB of internal storage and a microSD slot. The camera on the back is a Duo set up with a 13MP and 2MP sensor whilst the front facing snapper will be a 5MP sensor. The iconic BoomSound speakers will be making a return, Android 5.0 with Sense 7.0 will be there as standard and it’ll all be powered by a 3,000mAh battery. Thanks so much for putting this up. Really fantastic blog which is can helps others. thanks for your informative blog. This is very nice post i m very like it and i appreciate you for good work keep it up it is very useful for me. thank you so much for useful information to all who love htc mobiles.